Below are 5 reasons why I jumped on the oil train and why I think you should too! I would be lying if I said that there wasn’t a part of me that was terrified of the possibility of getting postpartum depression again. It’s an alarming statistic but I have a 50/50 chance of getting it again since I already had with my first child. While I am in a MUCH different place in my life, I am doing EVERYTHING under the sun to make sure I am well prepared and if for some reason my PPD returns, I have all the tools and support that I need at my fingertips to get help right away—-because suffering in silence, like I did for so many months the first time, is simply not an option. When I told my dear friend, Danielle, (who is my oil mentor and happens to be one of my oldest friends from college) about my fears, she really listened to me and encouraged me to give essential oils a try for additional support. Trust me, I was so intimidated to start learning about them and was very overwhelmed, but I took it a day a time, an oil at a time, and slowly I started to discover what works for me. There are so many oils that provide emotional support from Lavender to Stress Away, Gentle Baby, Peace & Calming and Valor. These are just a few that I diffuse, roll on or drop into my bath water to bring in a sense of peace and serenity in my life. And a bonus to my learning about and using oils is both my husband and daughter are benefiting too. Sweet Winter will ask for her sleepy time oil (Young Living has an entire kids line. The oils are prediluted so that you don’t have to worry about making your own rollers), and my husband requests for citrus oils to be diffused during the day. It’s really starting to become a family affair! There is a quote by Maya Angelou that really applies to my journey with oils: “Do the best you can until you know better. Then when you know better, do better.” Over the years I have really thought I was buying products that were chemical free and clean. Turns out I fell victim to brands “greening” the way they were marketing to their consumers and I bought several products that appeared to hit my standards but have since found out they fell short. What sold me about Young Living is on the bottle of one of their Thieves home products reads “can be used on virtually any surface in your home and is safe enough to use around every member of your family, including children and pets.” When I saw that, I immediately went to my cleaning supply section of the house and looked at the back of the bottles to find poison control numbers on the back. Talk about a wake up call--why would I even want those those things in my house? I encourage you to do the same. Look carefully at the ingredients in your cleaning supplies and if you don’t like what you see, think about making the switch to Young Living! They have everything from dishwashing soap, toothpaste, laundry soap and more. I am planning to give birth at a birthing center (if you want to read why I chose this route, I wrote about it here). While I know that I am not in charge of whether my birth plan goes according to plan or not, I have found peace and comfort knowing that what I can control are bringing in the tools and techniques that I want to help support me in the labor, deliver and recovery process. 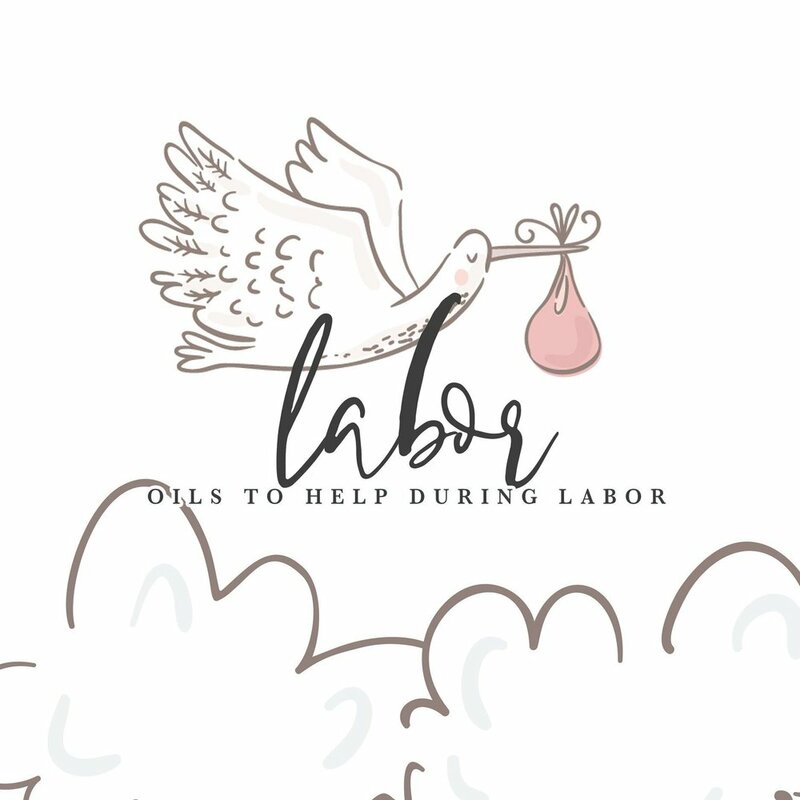 I have been talking to a lot of other Moms about using essential oils to support the birthing process and plan to do a whole blog post on what oils I intend on bringing to the birthing center with me. Oh, and one of the coolest things is that when you sign up with my team, you get exclusive access to closed Facebook Groups where you can search for what ever you are looking for (support for “labor” for example) and so many wonderful resources will pop up. When I was researching oil brands, what struck me about Young Living is their seed to seal process. Young Living takes special care of their oils from seed to product seal to guaranteed the purity and potency of each and every oil. Their standards from testing to farm sourcing and beyond are quite impressive and after reading more about them, I was convinced that this was the brand for me and my family. Read more about their process here. When you sign up as a member, you will get 24% off retail prices for life. There is no obligation to dive into the business side of things. While I joined exclusively to better the wellness and health of my family, I was also intrigued with the income potential and decided to get my feet wet and explore the business side. I am still looking for two builders, that is women who want to learn the business side along with me, so if you have any interest please reach out! Here is the income disclosure statement that I strongly encourage you to view. The truth remains that social media influencing has been really great to me and continues to be! It has opened up opportunities for me and I am so thankful for the Love & LaRock community. But sometimes the constant content creation, strict deadlines and demands placed upon us influencers overshadows the overall joy and gratitude that I have with creating content. I really believe in not putting all of your eggs in one basket so to speak, so I have been doing a lot of soul searching that has lead me to discover that while I love blogging, I have other interests too. I plan to get serious about the business side of Young Living after baby comes and after the launch of my other baby, The Mindful Mamas Club, and I hope that they all experience great success! I will be sharing more tips and tricks on what I learn through Instagram.